I started to write a post about a few unhinged reactions to an essay published by Nicholas Carr in this weekend’s WSJ, “Automation Makes Us Dumb.” Then I realized that I already wrote that post back in 2010. I’m republishing “A God that Limps” below, with slight revisions, and adding a discussion of the reactions to Carr. Our technologies are like our children: we react with reflexive and sometimes intense defensiveness if either is criticized. Several years ago, while teaching at a small private high school, I forwarded an article to my colleagues that raised some questions about the efficacy of computers in education. This was a mistake. The article appeared in a respectable journal, was judicious in its tone, and cautious in its conclusions. I didn’t think then, nor do I now, that it was at all controversial. In fact, I imagined that given the setting it would be of at least passing interest. However, within a handful of minutes (minutes! )—hardly enough time to skim, much less read, the article—I was receiving rather pointed, even angry replies. I’m typing these words on a laptop, and they will appear on a blog that exists on the Internet. Clearly I am not, strictly speaking, a Luddite. (Although, in light of Thomas Pynchon’s analysis of the Luddite as Badass, there may be a certain appeal.) Yet, I do believe an uncritical embrace of technology may prove fateful, if not Faustian. We are, perhaps because of the pace of technological innovation, quite conscious of the place and power of technology in our society and in our own lives. We joke about our technological addictions, but it is sometimes a rather nervous punchline. It makes sense to ask questions. Technology, it has been said, is a god that limps. It dazzles and performs wonders, but it can frustrate and wreak havoc. Good sense seems to suggest that we avoid, as Thoreau put it, becoming tools of our tools. This doesn’t entail burning the machine; it may only require a little moderation. At a minimum, it means creating, as far as we are able, a critical distance from our toys and tools, and that requires searching criticism. And we are back where we began. We appear to be allergic to just that kind of searching criticism. So here is my question again: Why do we react so defensively when we hear someone criticize our technologies? And so ended my earlier post. Now consider a handful of responses to Carr’s article, “Automation Makes Us Dumb.” Better yet, read the article, if you haven’t already, and then come back for the responses. Let’s start with a couple of tweets by Joshua Gans, a professor of management at the University of Toronto. Even better are some of the replies attached to Andreessen’s tweet. I’ll transcribe a few of those here for your amusement. There you have it. I’ll let you tally up the logical fallacies. Honestly, I’m stunned by the degree of apparently willful ignorance exhibited by these comments. The best I can say for them is that they are based on a glance at the title of Carr’s article and nothing more. It would be much more worrisome if these individuals had actually read the article and still managed to make these comments that betray no awareness of what Carr actually wrote. More than once, Carr makes clear that he is not opposed to automation in principle. The last several paragraphs of the article describe how we might go forward with automation in a way that avoids some serious pitfalls. In other words, Carr is saying, “Automate, but do it wisely.” What a Luddite! When I wrote in 2010, I had not yet formulated the idea of a Borg Complex, but this inability to rationally or calmly abide any criticism of technology is surely pure, undistilled Borg Complex, complete with Luddite slurs! I’ll continue to insist that we are in desperate need of serious thinking about the powers that we are gaining through our technologies. It seems, however, that there is a class of people who are hell-bent on shutting down any and all criticism of technology. If the criticism is misguided or unsubstantiated, then it should be refuted. Dismissing criticism while giving absolutely no evidence of having understood it, on the other hand, helps no one at all. I come back to David Noble’s description of the religion of technology often, but only because of how useful it is as a way of understanding techno-scientific culture. When technology is a religion, when we embrace it with blind faith, when we anchor our hope in it, when we love it as ourselves–then any criticism of technology will be understood as either heresy or sacrilege. And that seems to be a pretty good way of characterizing the responses to tech criticism I’ve been discussing: the impassioned reactions of the faithful to sacrilegious heresy. Who would choose cell phones and Twitter over toilets and running water? Well, according to Kevin Kelly, certain rural Chinese farmers. In a recent essay exploring the possibilities of a post-productive economy, Kelly told of the remote villages he visited in which locals owned cell phones but lived in houses without even the most rudimentary forms of plumbing. It is a choice, Kelly notes, deeply influenced by tradition and culture. Kelly’s point may not be quite unassailable, but it is a fair reminder that technology is a culturally mediated phenomenon. There are, generally speaking, two schools of thought on the relationship between technology and culture. Those tending toward some variety of technological determinism would argue that technology drives culture. Those who tend toward a social constructivist view of technology would argue the opposite. Ultimately, any theory of technology must account for the strengths and weaknesses of both of these tendencies. In fact, the framing of the relationship is probably problematic anyway since there are important ways in which technology is always cultural and culture is always technological. For the purposes of this post, I’d like to lean toward the social constructivist perspective. No technology appears in a vacuum. 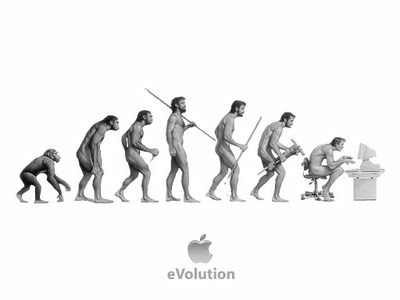 It’s origins, evolution, adoption, deployment, and diffusion are all culturally condition. Moreover, the meaning of any technology is always culturally determined; it is never simply given in the form of the technology itself. Historians of technology have reminded us of this reality in numerous fascinating studies — studies of the telephone, for example, and the airplane, the electric grid, household technologies, and much else besides. When a new technology appears, it is interpreted and deployed within an already existing grid of desires, possibilities, necessities, values, symbols, expectations, and constraints. That a technology may re-order this grid in time does not negate the fact that it must first be received by it. The relationship is reciprocal. If this is true, then it seems to me that we should situate our technologies not only within the immediate historical and social context of their genesis, but also within broader and more expansive historical trajectories. Is our use of computer technology, for example, still inflected by Baconian aspirations? What role do Cartesian dualisms play in shaping our relationship with the world through our technologies? To what degree does Christian eschatology inform technological utopianism? These seem to be important questions, the answers to which might usefully inform our understanding of the place of technology in contemporary society. Of course, these particular questions pertain especially to the West. I suspect another set of questions would apply to non-Western societies and still further questions would be raised within the context of globalization. But again, the basic premise is simply this: a given technology’s social context is not necessarily bounded by its immediate temporal horizons. We ought to be taking the long view as well. But the rhythms of technological change (and the logic of the tech industry) would seem to discourage us from taking the long view, or at least the long view backwards in time. The pace of technological change over the last two hundred years or so has kept us busy trying to navigate the present, and its trajectory, real and ideal, casts our vision forward in the direction of imagined futures. But what if, as Faulkner quipped, the past with regards to technology is not dead or even past? I’m wondering, for instance, about these large motive forces that have driven technological innovation in the West, such as the restoration of Edenic conditions or the quest for rational mastery over the natural world leading to the realization of Utopia. These early modern and Enlightenment motive forces directed and steered the evolution of technology in the West for centuries, and I do not doubt that they continue to exert their influence still. Yet, over the last century and half Western society has undergone a series of profound transformations. How have these shaped the evolution of technology? (The inverse question is certainly valid as well.) This is, I suppose, another way of asking about the consequences of post-modernity (which I distinguish from postmodernism) for the history of technology. I continue to find this insightful, and I think the angle I’m taking here dovetails with Carr’s analysis. The technologies of Prosperity and Leisure correspond roughly to the technologies of modernity. Technologies of the Self correspond roughly to the technologies of post-modernity. Gone is our faith in les grands récits that underwrote a variety of utopian visions and steered the evolution of technology. We live in an age of diminished expectations; we long for the fulfillment of human desires writ small. Self-fulfillment is our aim. This is, incidentally, a trajectory that is nicely illustrated by Lydia DePillis’ suggestion that the massive Consumer Electronics Show “is what a World’s Fair might look like if brands were more important than countries.” The contrast between the world’s fairs and the CES is telling. The world’s fairs, especially those that preceded the 1939 New York fair, were quite obviously animated by thoroughly modern ideologies. They were, as President McKinley put it, “timekeepers of progress,” and one might as well capitalize Progress. On the other hand, whatever we think of the Consumer Electronics Show, it is animated by quite different and more modest spirits. The City of Tomorrow was displaced by the entertainment center of tomorrow before giving way to the augmented self of tomorrow. Why did technological innovation take this path? Was it something in the nature of technology itself? Or, was it rather a consequence of larger sea changes in the character of society? Maybe a little of both, but probably more of the latter. It’s possible, of course, that this macro-perspective on the the co-evolution of culture and technology can obscure important details and result in misleading generalizations, but if those risks can be mitigated, it may also unveil important trends and qualities that would be invisible to more narrowly focused analysis. 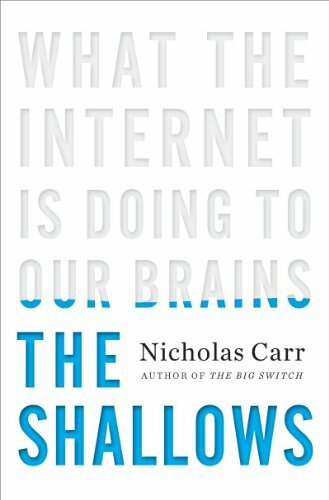 Last summer Nicholas Carr published The Shallows: What the Internet Is Doing to Our Brains , a book length extension of his 2008 Atlantic essay, “Is Google Making Us Stupid?” The book received a good bit of attention and was in the ensuing weeks reviewed seemingly everywhere. We noted a few of those reviews here and here. Coming in fashionably late to the show, Jim Holt has written a lenghty review in the London Review of Books titled, “Smarter, Happier, More Productive.” Perhaps a little bit of distance is helpful. Holt’s review ends up being one of the better summaries of Carr’s book that I have read, if only because Holt details more of the argument than most reviews. In the end, he tends to think that Carr is stretching the evidence and overstating his case on two fronts, intelligence and happiness. However, he is less sanguine on one last point, creativity, and that in relation to memory. But as Holt notes, “The idea that machine might supplant Mnemosyne is abhorrent to Carr, and he devotes the most interesting portions of his book to combatting it.” Why not outsource our memory? Carr responds with a bit of rhetorical bluster. ‘The web’s connections are not our connections,’ he writes. ‘When we outsource our memory to a machine, we also outsource a very important part of our intellect and even our identity.’ Then he quotes William James, who in 1892 in a lecture on memory declared: ‘The connecting is the thinking.’ And James was onto something: the role of memory in thinking, and in creativity. Poincaré had been struggling for some weeks with a deep issue in pure mathematics when he was obliged, in his capacity as mine inspector, to make a geological excursion. ‘The changes of travel made me forget my mathematical work,’ he recounted. How to account for the full-blown epiphany that struck Poincaré in the instant that his foot touched the step of the bus? His own conjecture was that it had arisen from unconscious activity in his memory. And this leads me to make one additional observation. As I’ve mentioned before, it is customary in these discussions to refer back to Plato’s Phaedrus in which Socrates warns that writing, as an externalization of memory, will actually lead to the diminishing of human memory. Holt mentions the passage in his review and Carr mentions it as well. When the dialog is trotted out it is usually as a “straw man” to prove that concerns about new technologies are silly and misguided. But it seems to me that there is a silent equivocation that slips into these discussions: the notion of memory we tend to assume is our current understanding of memory that is increasingly defined by the comparison to computer memory which is essentially storage. It seems to me that having first identified a computer’s storage capacity as “memory,” a metaphor dependent upon the human capacity we call “memory,” we have now come to reverse the direction of the metaphor by understanding human “memory” in light of a computer’s storage capacity. In other words we’ve reduced our understanding of memory to mere storage of information. And now we read all discussions of memory in light of this reductive understanding. Given this reductive view of memory, it seems silly for Socrates (and by extension, Plato) to worry about the externalization of memory, whether it is stored inside or outside, what difference does it make as long as we can access it? And, in fact, access becomes the problem that attends all externalized memories from the book to the Internet. But what if memory is not mere storage? Few seem to extend their analysis to account for the metaphysical role memory of the world of forms played within Plato’s account of the human person and true knowledge. We may not take Plato’s metaphysics at face value, but we can’t really understand his concerns about memory without understanding their lager intellectual context. Holt helps us to see the impoverishment of our understanding of memory from another, less metaphysically freighted, perspective. The Poincare anecdote in its own way also challenges the reduction of memory to mere storage, linking it with the complex workings of creativity and insight. Others have similarly linked memory to identity, wisdom, and even, in St. Augustine’s account, our understanding of the divine. Whether one veers into the theological or not, the reduction of memory to mere storage of data should strike us as an inadequate account of memory and its significance and cause us to rethink our readiness to offload it.